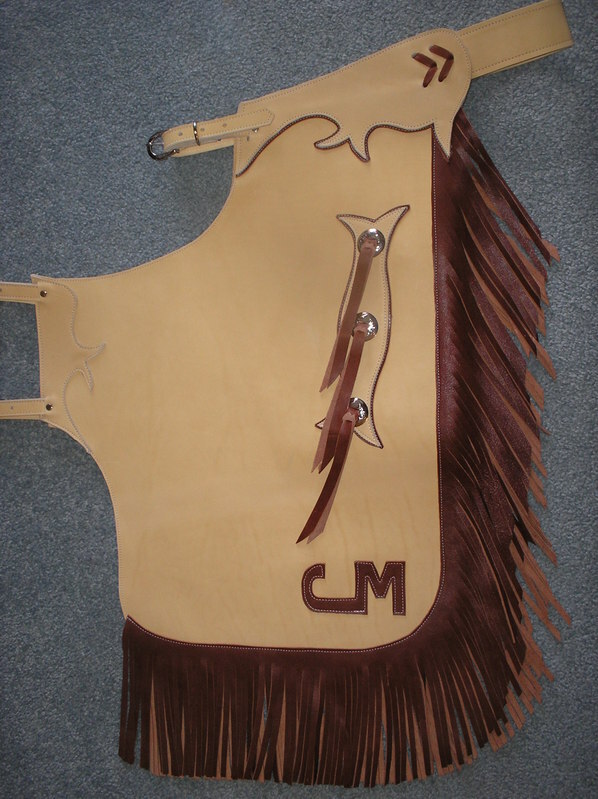 To view the chap leather color choices go to the color choice page. 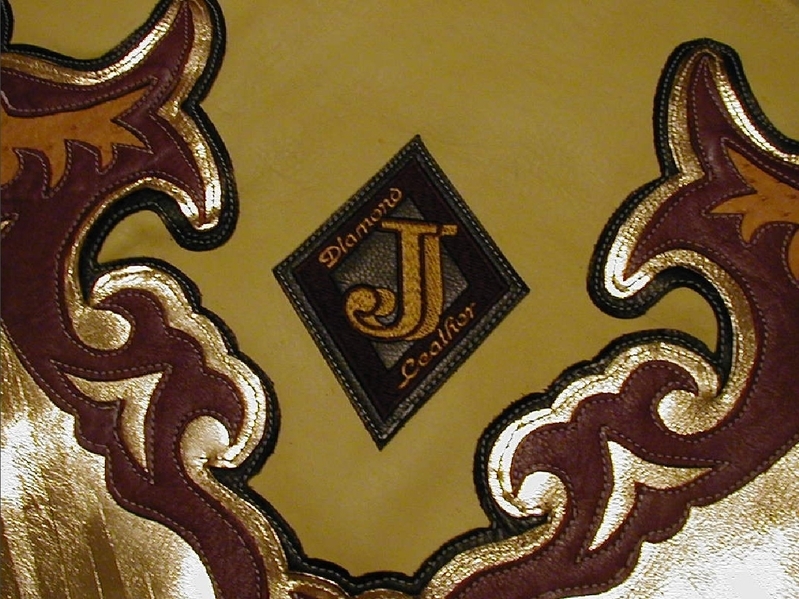 The leather is available in a variety of colors and thickness to meet your needs. 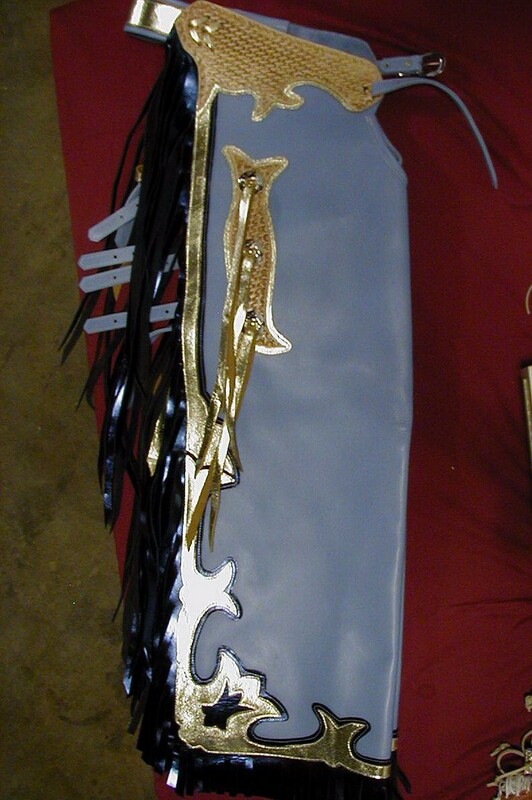 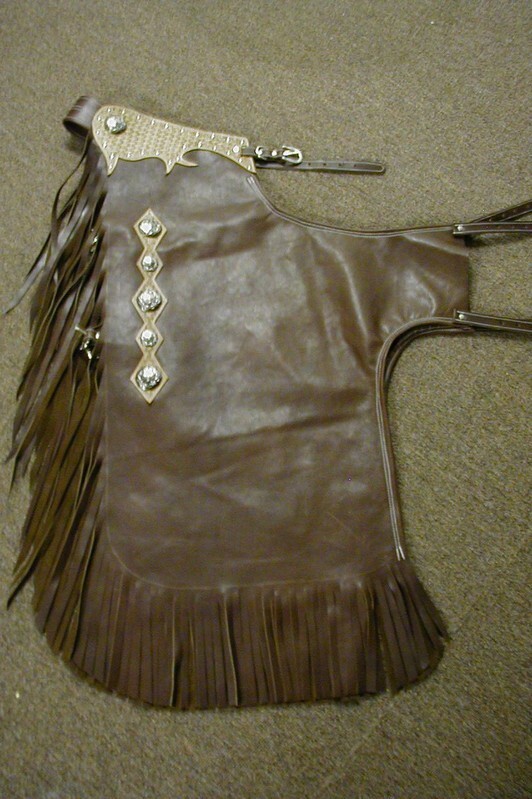 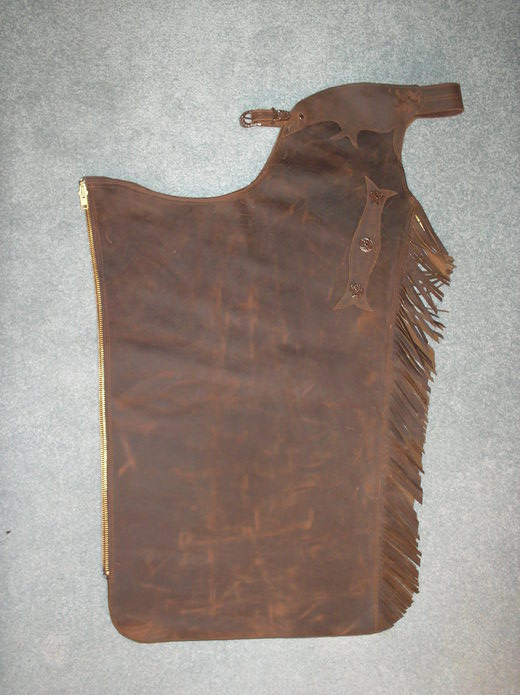 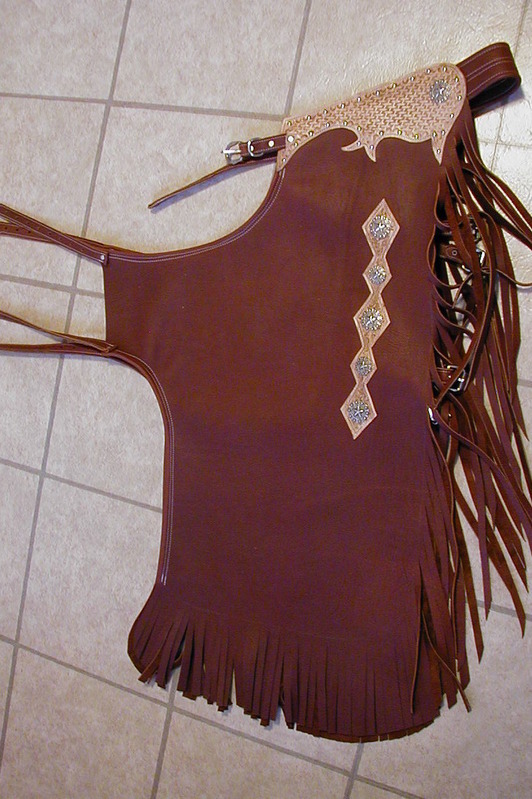 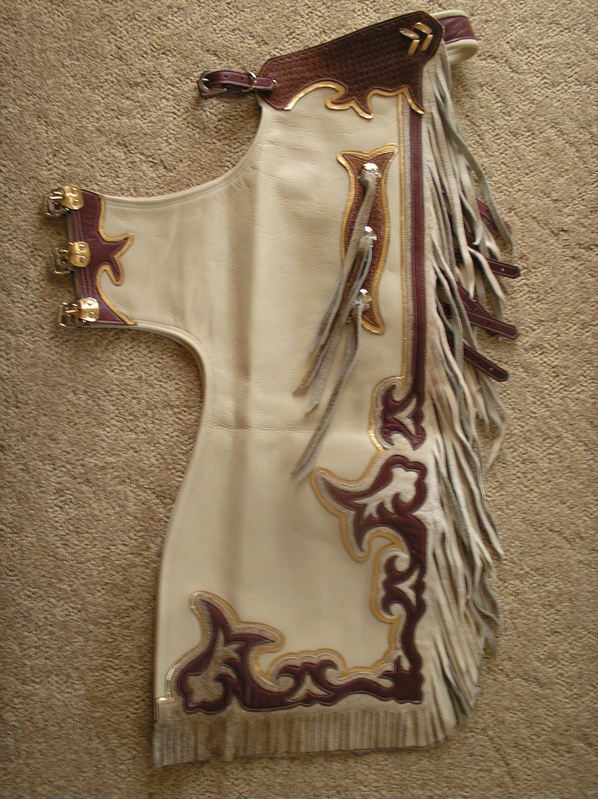 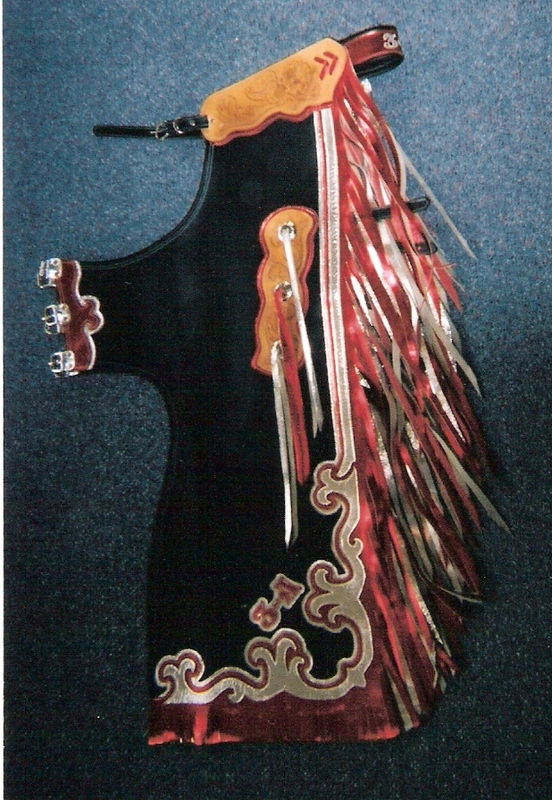 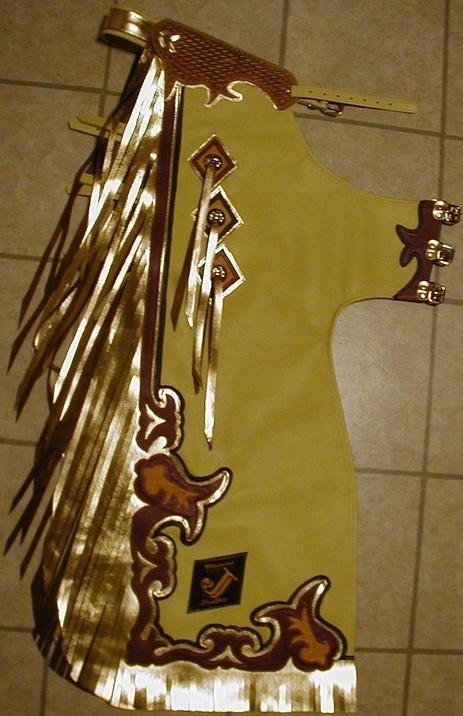 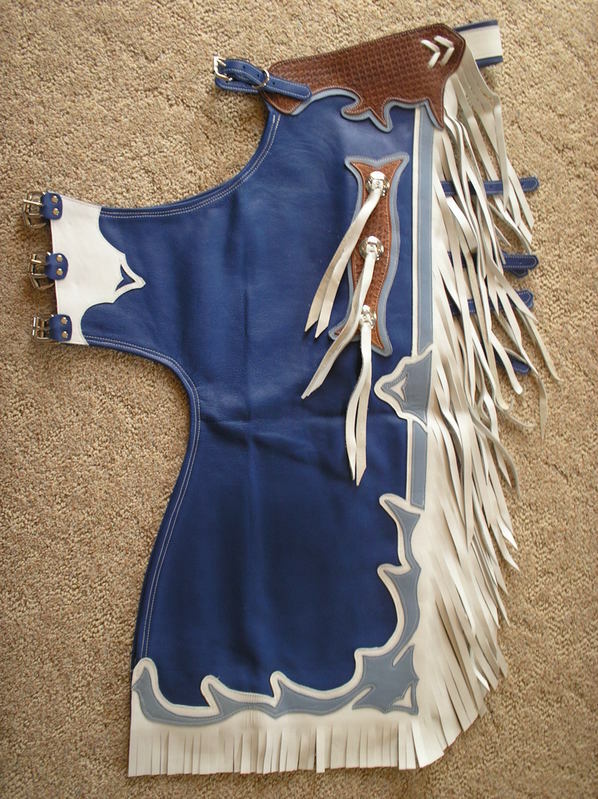 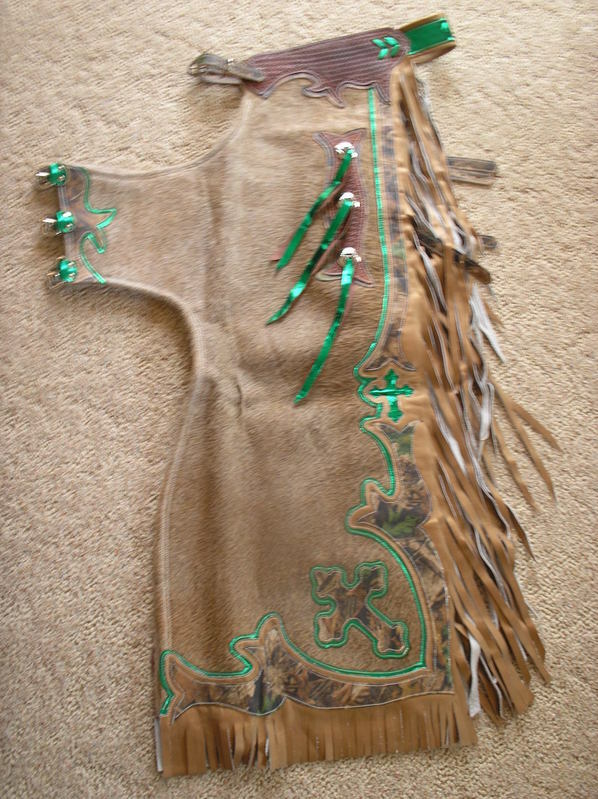 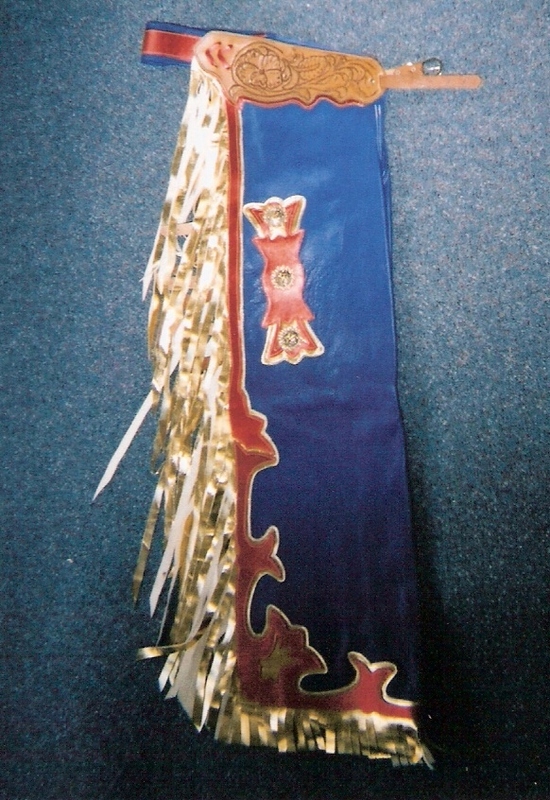 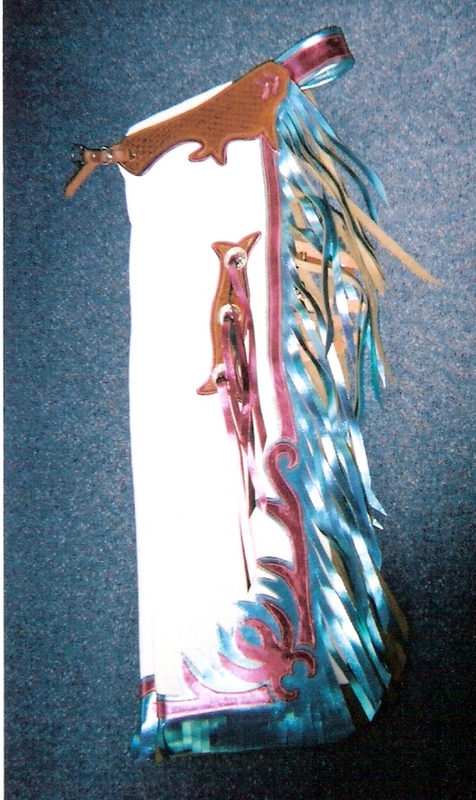 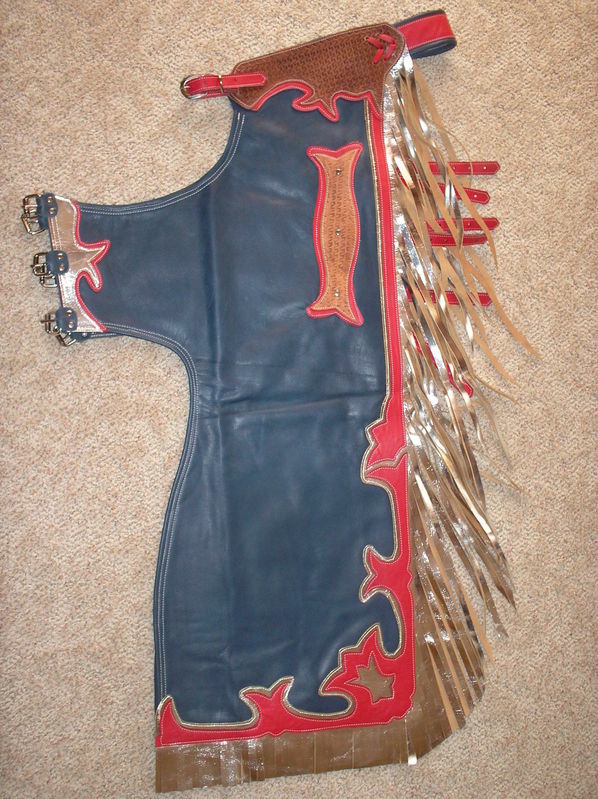 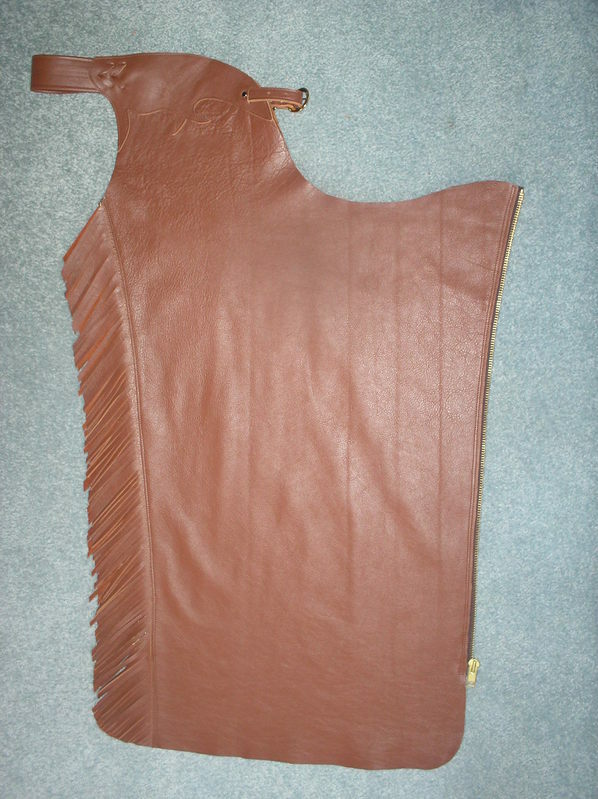 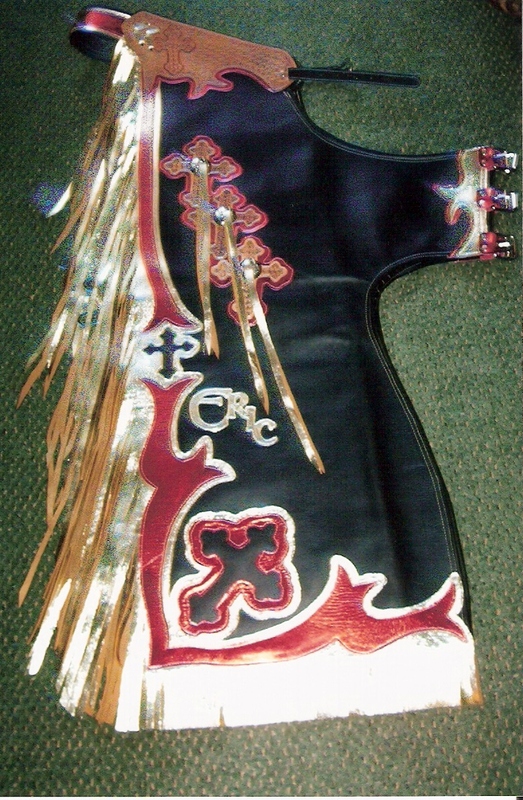 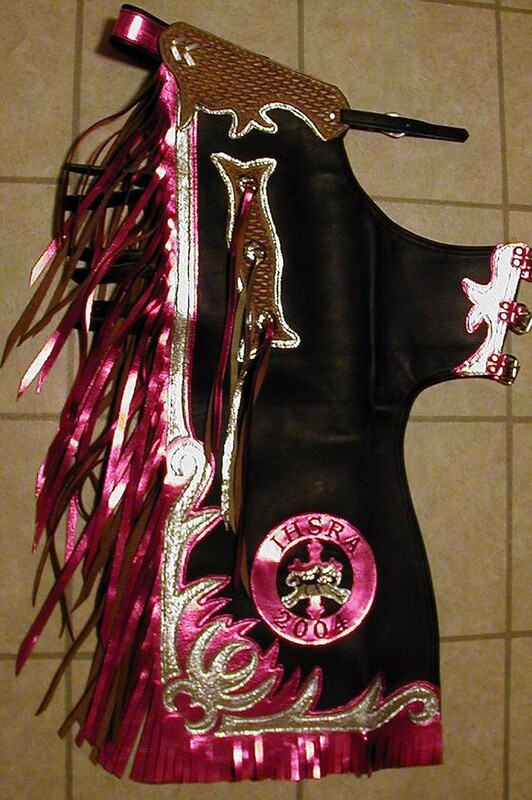 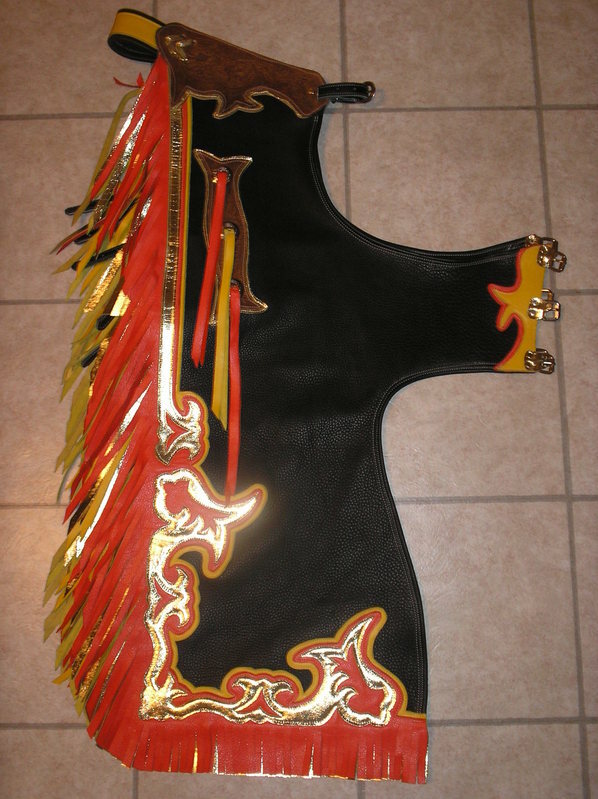 To view more rodeo chaps, click on the queens closet page. 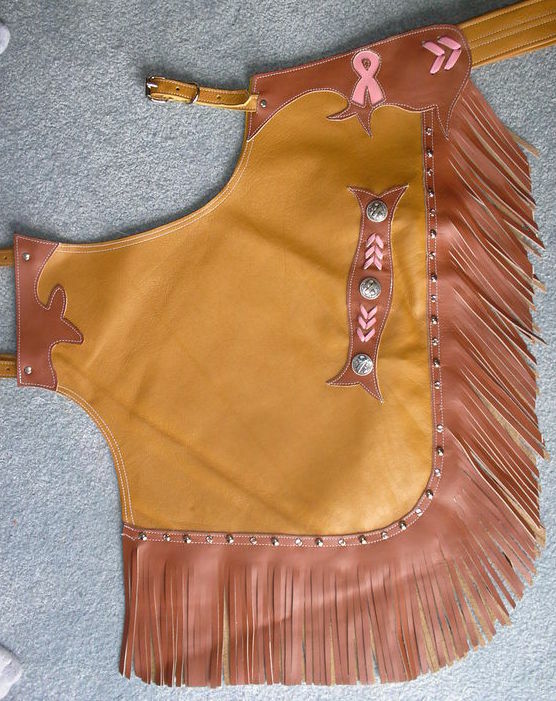 Please contact me if you have an idea for a pair of chaps or would like to see more photos. 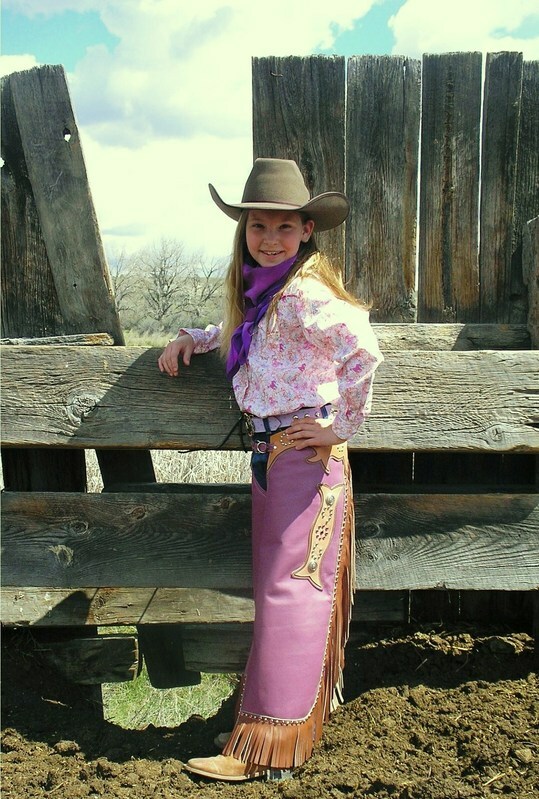 I would be happy to discuss all of your options and give you an estimate.